Me too, I am fine. How many of these conversations did you have in your life? It is the shortest and most impersonal conversation we can have. And it is the most dishonest one. We conversate in that way to avoid a conversation. We do it, to be friendly. Tell me, when did you feel fine in your life? Just fine. Nothing more nothing less. Just fine. I never felt fine. I don’t know what it is. It is no feeling. It is no emotion; it is just a big lie. I felt sad, devastated, anxious, lost and confused when my parents broke up. I feel exhausted, tired but happy af when I finish a workout in the gym. I feel nothing but love when I walk through the streets of Barcelona. I am happy af because in ten days I will see my siblings and my cousins. I haven’t seen them for four months. I am grateful that it is just four months. Alejandra, my colleague and friend from work, has not seen her family since one year and a half. And she will not see her family for upcoming 18 months. She is Venezuelan, and Venezuela is just fucked up right now. She had to leave her country because there is no medicine, no food, no toilet paper. She had to leave her loved ones and her beloved country. Anyway, most of the time she has a smile on her face and a funny phrase to make my colleagues and me laugh. She is happy to be in Spain, able to work and earn money she can send home. Every day she misses her family. She is excited when she talks about Venezuela, and how it used to be. She is sad, and tears come up when she speaks about the current situation. And neither is one of us. But why then do we have so many conversations that way? Because we make up barriers. The barrier to listen to our body and our heart what we are feeling. The barrier to accepting what we feel. The barrier to sharing what we feel. It is because we are egoistic. We want to be friendly, but we are not for real interested in the person we have such a conversation with. How can we avoid these conversations? Stop asking people “How are you” and starting to ask “how do you feel today”. 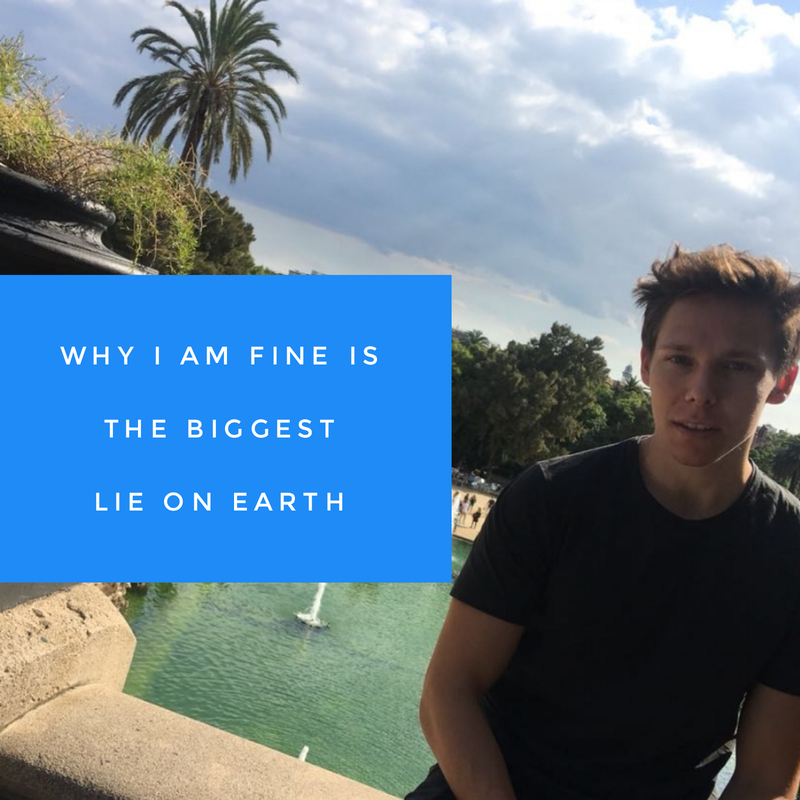 I am fine just is not a good enough answer to that question and almost nobody will answer that. More likely they will tell, that they are bored, tired, happy or excited. Then a real conversation can start.